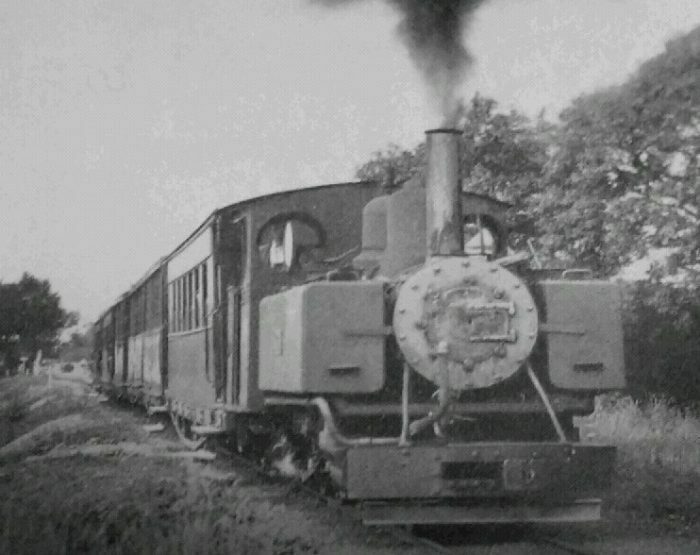 South of the Halt at Stretton, the railway travelled for well over a kilometre alongside the main standard-gauge line before it began to bear away from the Midland line towards the west, soon entering the valley of the River Amber. 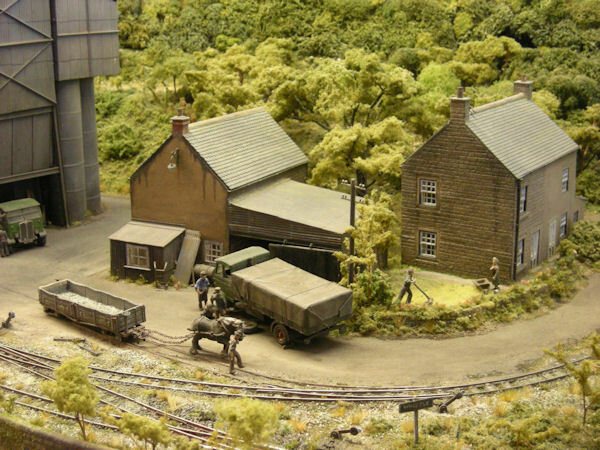 The next halt was at Hurst Lane, but there was an intermediate passing loop for stabling purposes at Ford. By this time, the surrounding countryside was more hilly. 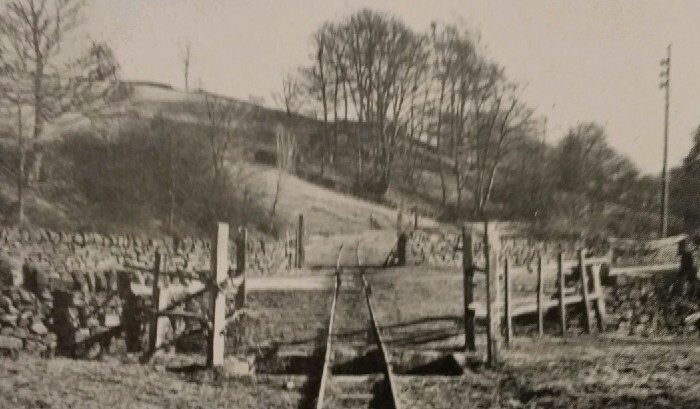 At Woolley, the next halt, a public road was crossed, and goods facilities were provided. This halt, and those at Dalebank and Milltown, took their names from hamlets on the hillside. In most cases passengers were also picked up and set down wherever public roads were crossed. In days gone by, Woolley House a large Country house was run as a Hydro and took in visitors all the year round. Attached to it was a small village store where you could buy anything from a box of matches to a cwt: of corn. 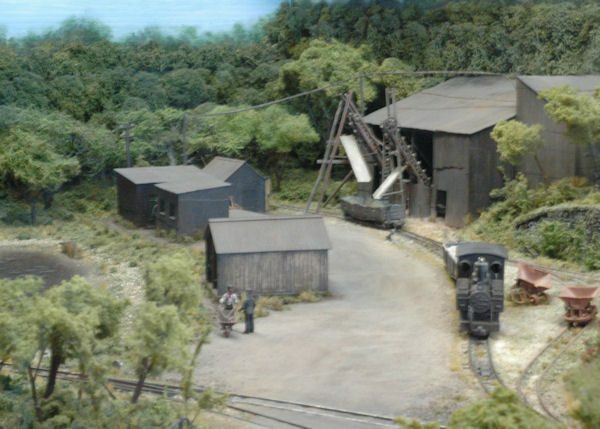 In the yard at the back was the old Joiners shop, which was used by the local undertaker. 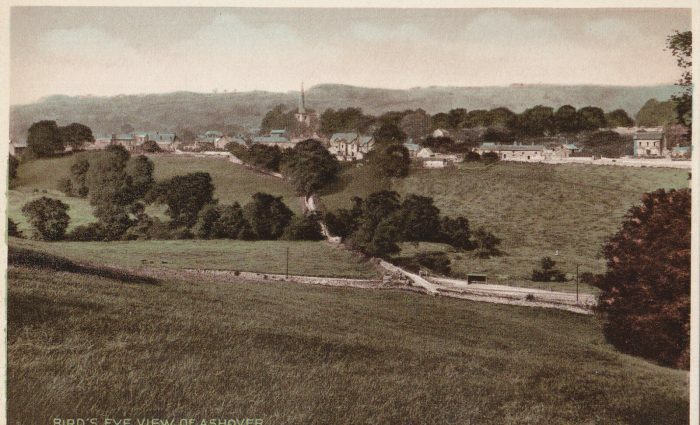 Later the house was sold and divided up into 6 small cottages made out of the big house, the shop 11 other cottages and the old public house Napoleon’s Home, all will soon be destroyed by the New Ogston Reservoir built to supply industry with millions of gallons of water. The Napoleon’s Home has been in the family of the Fox’s for generations past, and is still bother owned and run by Mr Fox today. In its grounds the village football team used to play, also the cricket team had their pitch. Here the Flower and Vegetable Show has been held every year for the past 48 years. Now they are told it cannot stay. The villagers have to leave homes in which some were born, and lived for a life, time, to make way for the flooding of the valley. At present only the Public House remains occupied. When the bulldozers have finished their work, one cottage on the other side of the road will remain, standing out like a landmark with the past. Its occupant an old gentleman who has seen many changes in his life time, now spends a lot of time directing many and various people up the hill, to where the villagers have been re-housed in Council houses, almost making a new village on top of the hill. Before, only a few cottages and small holdings stood there. The old sheep wash too, has been destroyed where local farmers used to bring their sheep for washing. The bridge across the river is being raised; cranes, concrete mixers and bulldozers spoil the quiet countryside. At one side of the river at this point stood the laundry where washing from both Woolley Hydro and Stubbin Edge Hall was done. 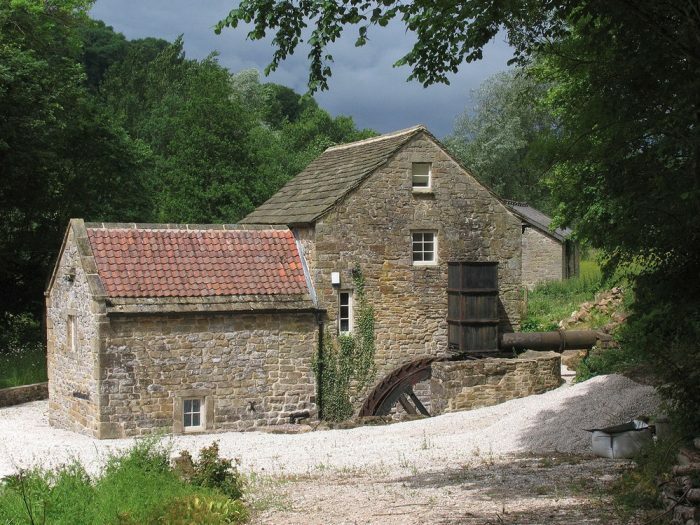 On the other side of the river stood a house built by a local man named Beresford, also his Blacksmiths shop, where both he and his man worked regularly. 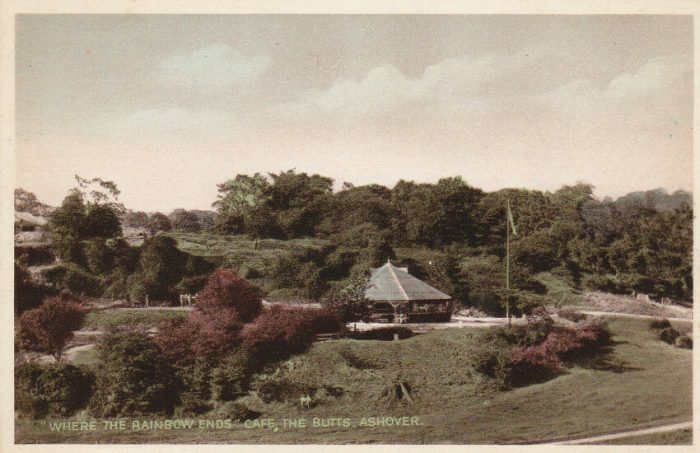 Across the river set out among spacious lawns was Amber Valley Camp School. Built in 1939 to give 250 children from urban areas the benefit of having a month’s education in rural surroundings. 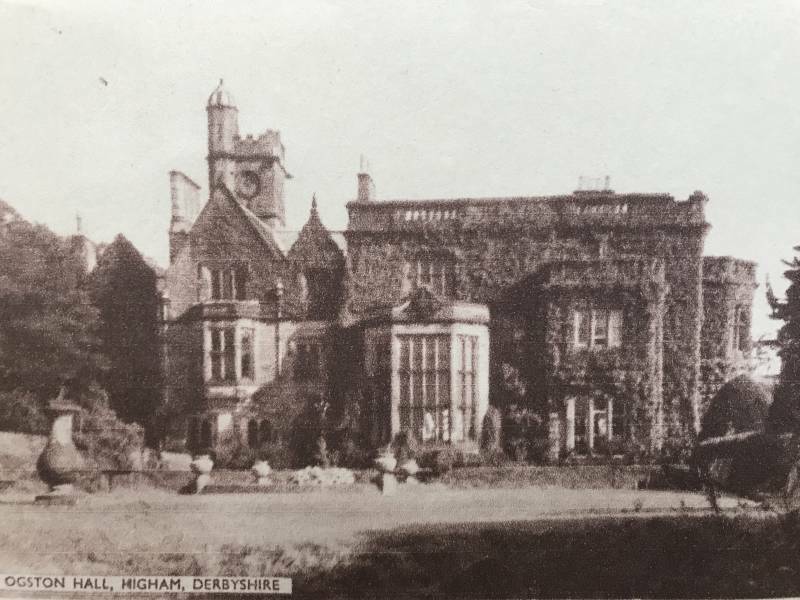 During the war, it was used to re-house a Public School evacuated from Derby. This too will soon be swept away by bulldozers to make way for the rising waters. At the other side of the valley stand the Pumping Station, and the Purifying plant. On top of the spur stood a large Georgian house know as The Ford House. In its lovely grounds also stood the Gardeners and Butlers cottages, these too have been swept away, to make way for the modern dwellings to house reservoir officials. On the other side of the road, in a large meadow, stands another group of new houses built for reservoir staff. At the bottom of the valley by the side of the river used to run a footpath. Over 30 years ago a then young school mistress took a class of infants on a picnic into a field which the footpath ran through by the river, that day has never been forgotten. They fished they played cricket, and drank milk and tea carried from a Farm House up on top of the hill 4 steep fields away. What a day they had – no more will do it. Now the same field lies 30 feet under water, only memories are left. But to those who took part in it, it stands out as one of the most wonderful days of childhood. The old Mill too has gone. It used to be driven by a water wheel and was well known for miles around. No more will carts take rough stone in at one side of the yard and sawn blocks out at the other. 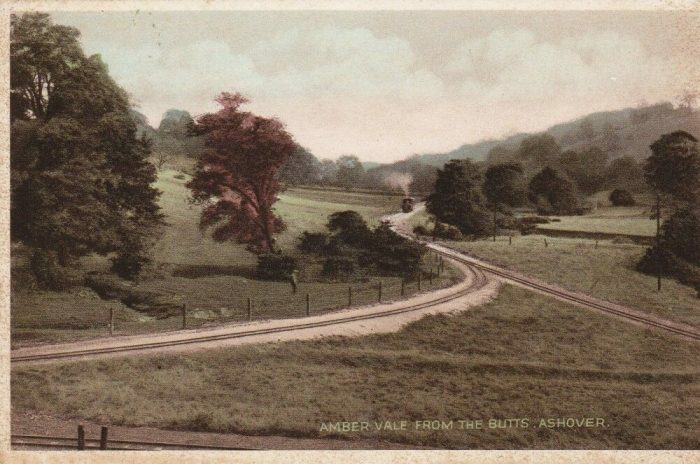 In the past the valley was one of Derbyshire’s beauty spots, a lovely place in summer, but forgotten in winter. What will it be now? 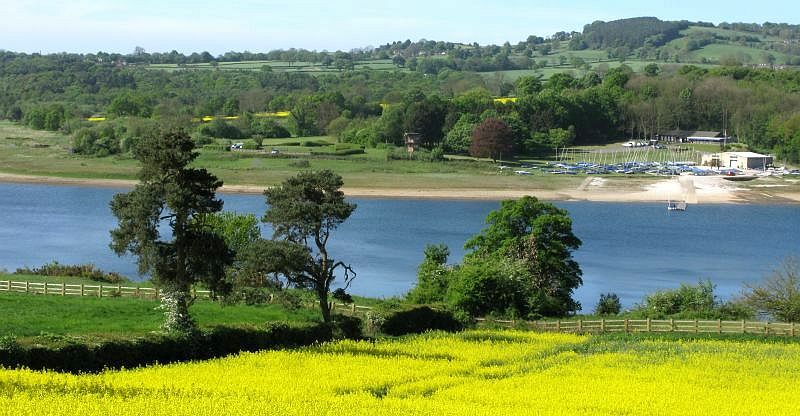 In the early 21st Century, Ogston Reservoir provides many leisure activities including sailing, windsurfing and trout fishing. There have been 200 species of bird life recorded at Ogston including Wilson’s phalarope, Sabine’s gull and long-tailed skuas. 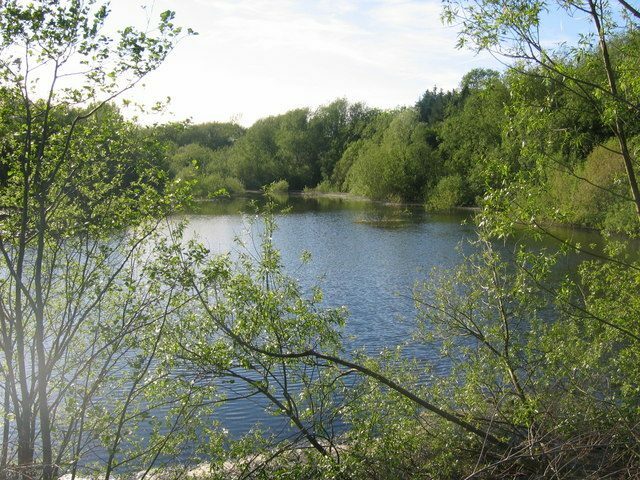 There are two observation hides used by local bird watchers. The present sailing club building which can be viewed from the field was originally the Amber Valley Camp School. It was built in 1939 to give 250 children from urban areas the benefit of have a months education in rural surroundings. It seems, with the benefit of hindsight, that Mrs Fox’s fears have not been borne out, despite what has been lost. 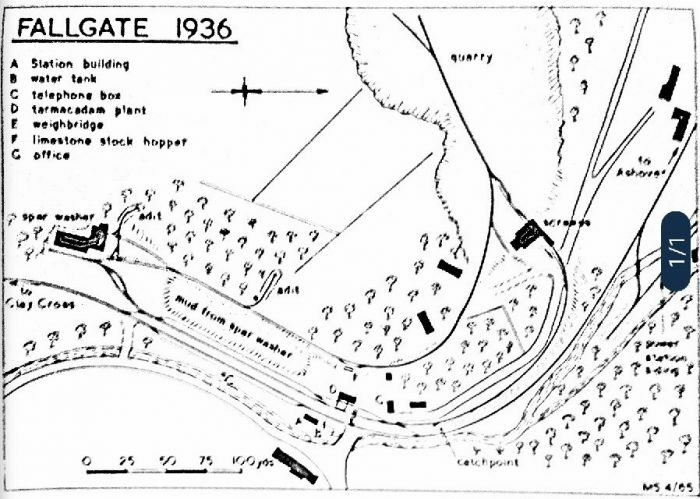 On the above plan, the Fluorspar washing plant is to the left, and the line from Clay Cross enters from the left just below the plant. 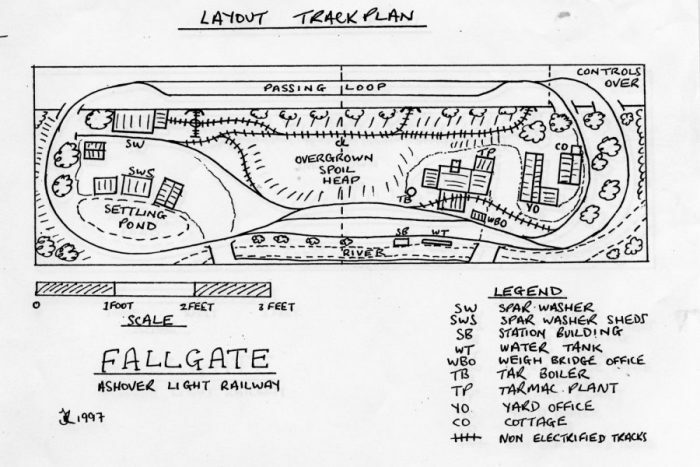 The route to the quarry runs north and the line onwards to Ashover heads off to the right side of the plan. The power station is close to the River Amber on the right side of the image, it can just be seen to the right of the (1/1). 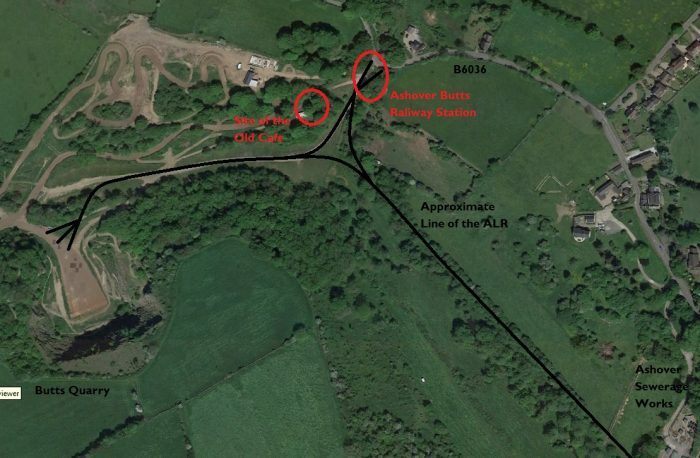 The adjacent Google Earth satellite image shows the approximate route of the railway through Fallgate and the location of the small station building. 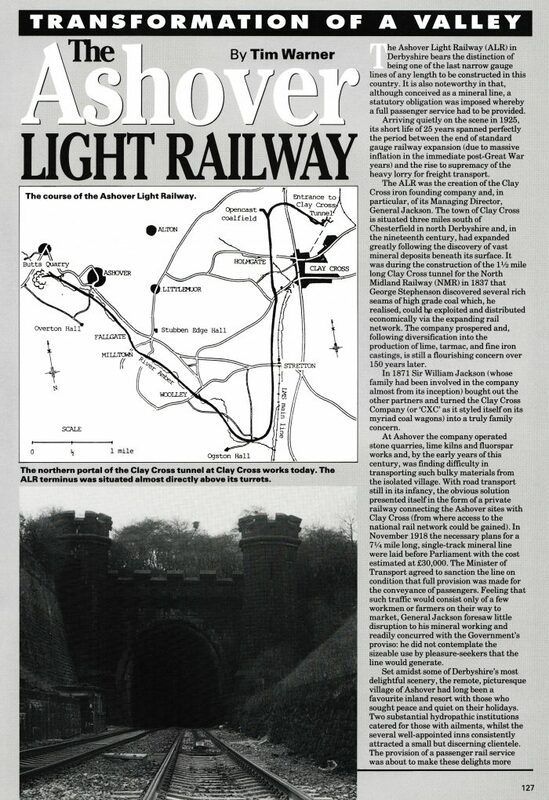 The railway formation ran on the West side of the River Amber through the halt and then followed what is now a lane called Jetting Street. 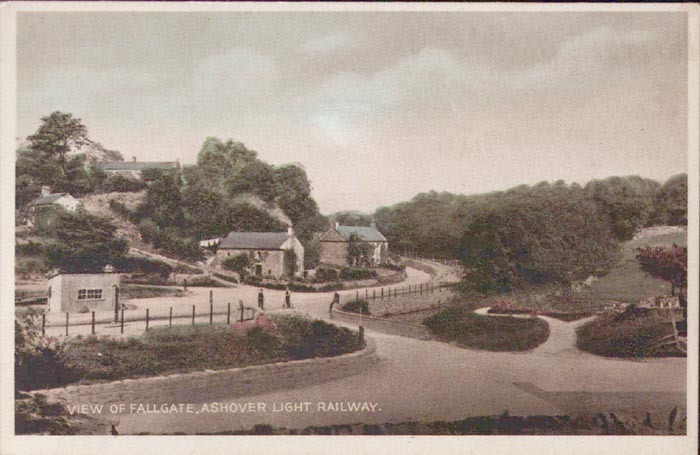 Salter Lane (for Ashover) was just half a mile from Overton Hall. It consisted of a low platform with a wooden shelter and a nameboard. The shelter is no longer present, but the edge of the platform is still visible. 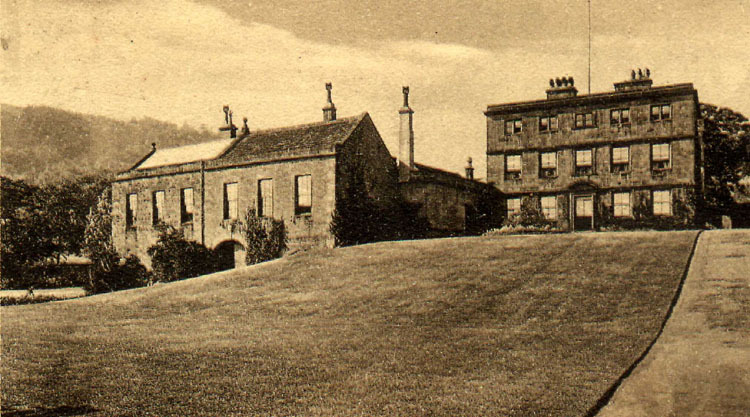 Overton Hall was once the home of the naturalist Sir Joseph Banks. Overton Hall was, from 1942, certified to operate as an approved school for boys. 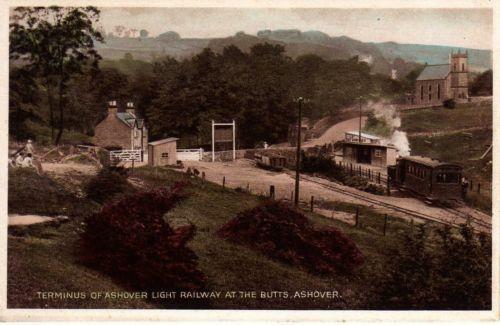 It served in this capacity until 1948, not long before the Ashover Light Railway closed. From 1950 to 1956, it operated as a youth hostel. Later it served as an old people’s home. In the early 21st Century, it is now a private residence. 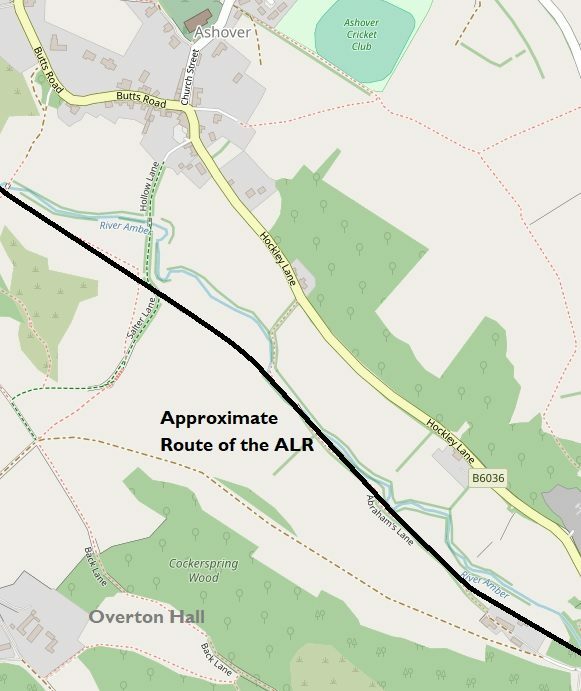 Salter Lane can be made out on the above map at the point where it crosses the route of the ALR South of Ashover. It was the closest stop to the village. 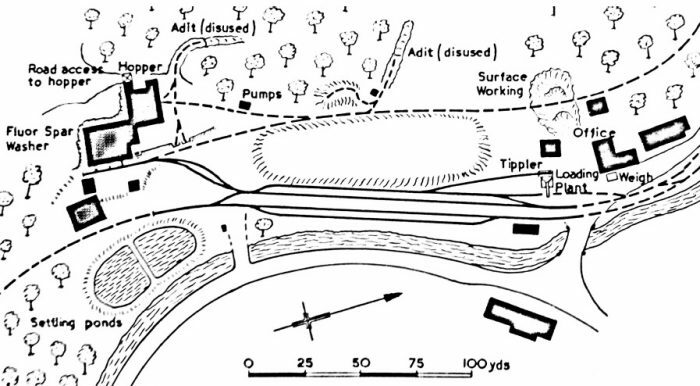 The proximity of the Salter Lane Halt (right of middle in the image) to the village of Ashover is illustrated above. 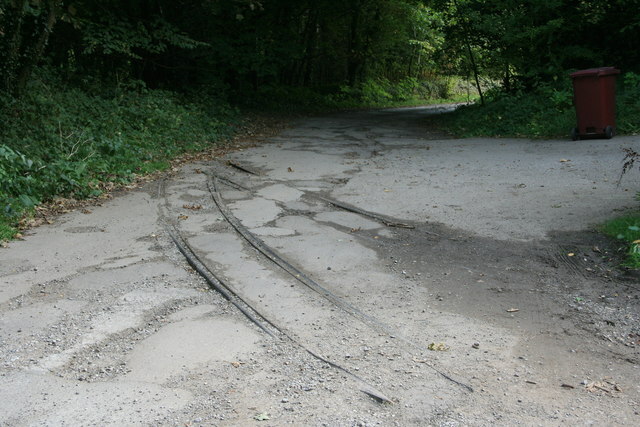 The end of the line. K.P. 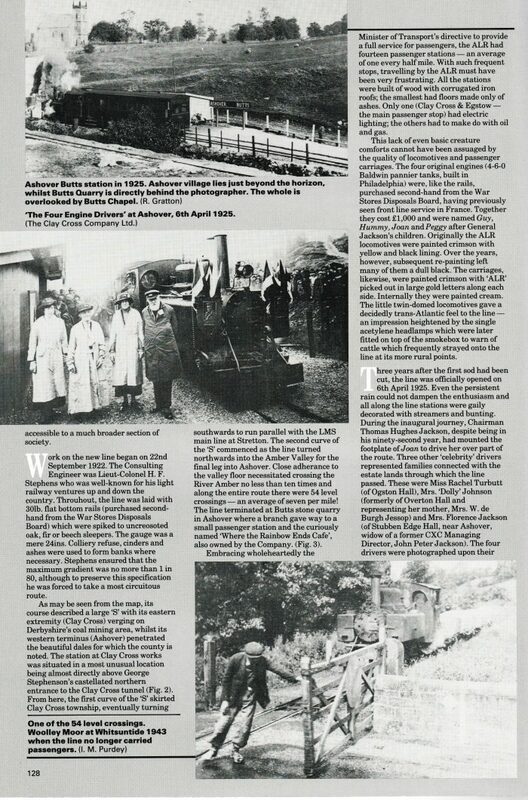 Plant; The Ashover Light Railway. The Oakwood Press, 1965, p44. https://www.pinterest.com/pin/374221050282986254, accessed on 23rd January 2019. K.P. Plant; The Ashover Light Railway. The Oakwood Press, 1965, pictures between p44 and p45. K.P. Plant; The Ashover Light Railway. The Oakwood Press, 1965, p45. 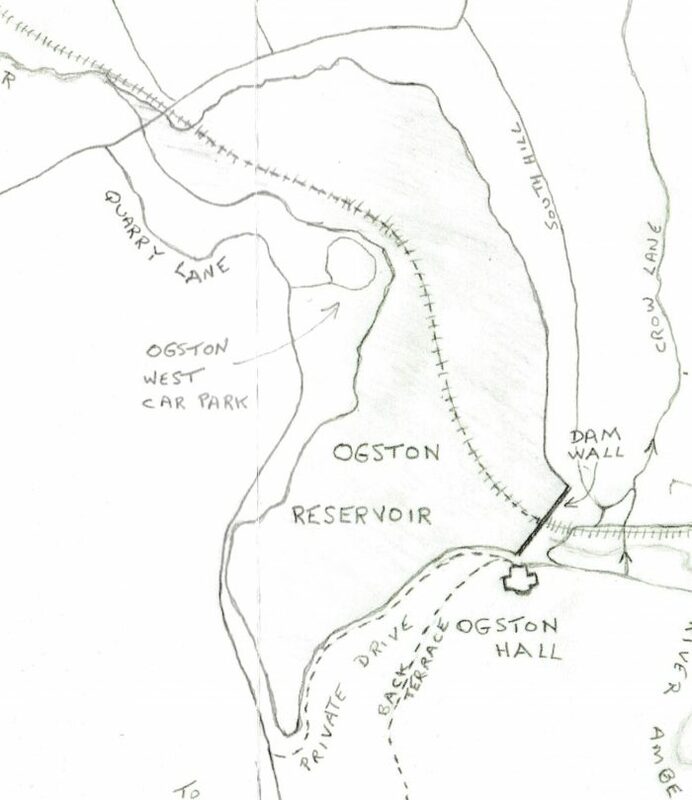 http://www.derbyshireuk.net/ogston_reservoir.html, accessed on 26th January 2019.
http://www.strettonhandley.derbyshire.sch.uk/oldwebsite/areservoirtakesitstoll.html, accessed on 26th January 2019.
http://www.ogstonbirdclub.co.uk, accessed on 26th January 2019.
https://en.wikipedia.org/wiki/Ogston_Reservoir, accessed on 26th January 2019. 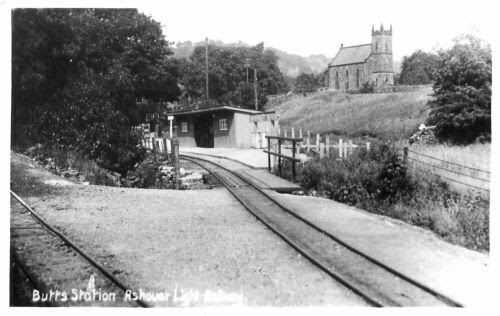 The Ashover Light Railway Society, Short Walks on a Railway Theme – Walk Number 3, Country Estates and Waterworks, Stretton to Ogston. 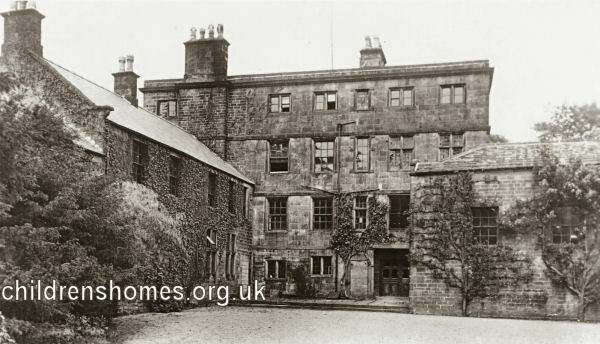 https://www.brackenfield.org/ogston-hall-visit-picnic-at-the-hall#&gid=347&pid=1, accessed on 26th January 2019.
http://m.ipernity.com/#/doc/buildings/25566191, accessed on 26th January 2019. K.P. Plant, op. cit., p46. 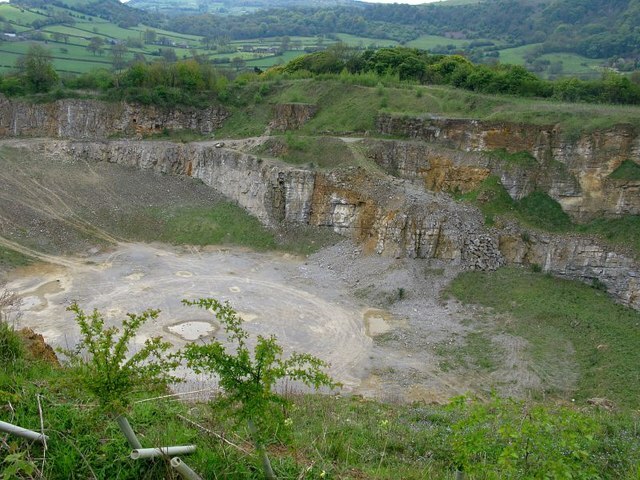 http://www.stephenelittle.com/fallgate/#layout, accessed on 27th January 2019.
http://m.ipernity.com/#/doc/302581/45025008, accessed on 27th January 2019.
https://www.geograph.org.uk/photo/3861366, accessed on 27th January 2019.
https://www.geograph.org.uk/photo/1855664, accessed on 27th January 2019.
http://www.ashover.org/photo107.htm, accessed on 27th January 2019. K.P. Plant, op. cit., p47. 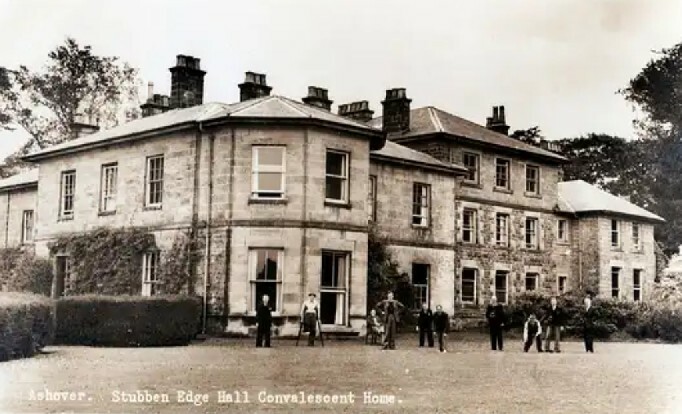 https://historicengland.org.uk/listing/the-list/list-entry/1241794, accessed on 27th January 2019.
http://www.childrenshomes.org.uk/AshoverAS, accessed on 27th January 2019.
http://www.ashover.org/photo130.htm, accessed on 27th January 2019.
https://en.m.wikipedia.org/wiki/Ashover_Butts_railway_station, accessed on 28th January 2019.
http://railthing.blogspot.com/2014/01/ashover-light-railway.html, accessed on 28th January 2019.
https://www.pinterest.co.uk/pin/131871095323434925/?lp=true, accessed on 28th January 2019.
https://www.ebay.co.uk/bhp/ashover-light-railway, accessed on 28th January 2019.
https://picclick.co.uk/Set-of-12-Ashover-Light-Railway-Postcards-original-273663372391.html, accessed on 28th January 2019.
https://www.facebook.com/pages/Butts-Quarry-MotoX-Track/119689744810650, accessed on 28th January 2019. 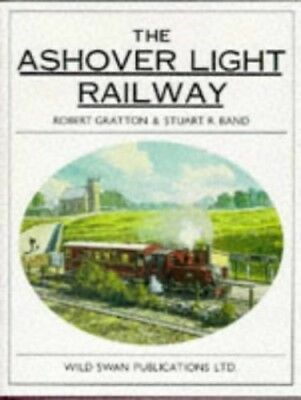 Stewart R. Band and Robert Gratton; The Ashover Light Railway; Wild Swan, Didcot, 1989. 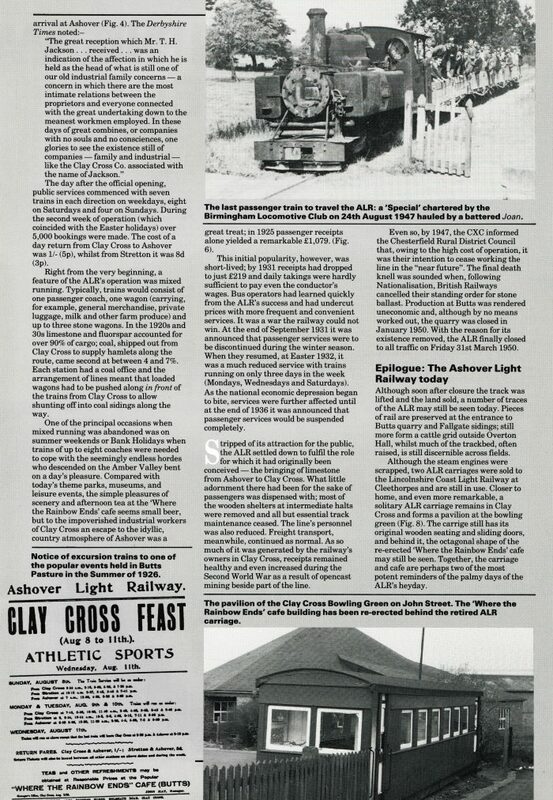 Tim Warner; BackTrack Magazine, Volume 6, No.3, May/June 1992, p127-129. 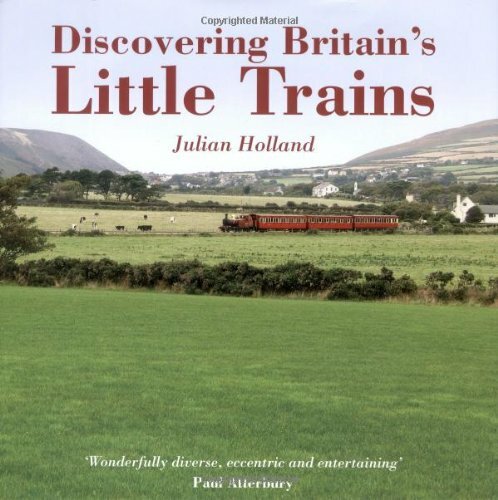 Julian Holland; Discovering Britain’s Little Trains; AA Publishing, Basingstoke, 2008, p56-69. 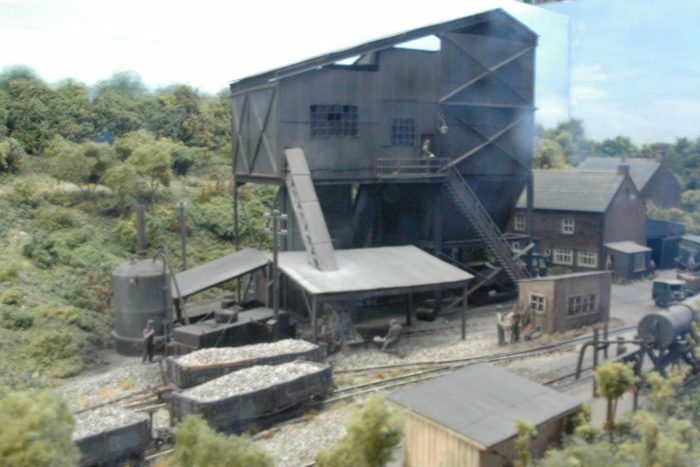 This entry was posted in Railways Blog on January 19, 2019 by rogerfarnworth.